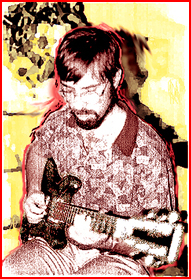 Larry contributed amazingly fluid and punctual guitar licks on the song "Fly." He continues to play in the Champaign/Urbana area. He's committed to playing "blues for life" with The Deadbeats. Plays domra in the Russian Folk Orchestra at UIUC.